Is your sales training being ignored or forgotten? Over $5 billion per year is spent on sales training and 87% will be forgotten within three months if not reinforced on the job. Membrain integrates educational information, collateral, and guides in the right context - your sales process. This helps all your salespeople to increase their skills from hire date through every deal they work. With Membrain your team will have all the tools to adopt the behaviors needed to increase their sales effectiveness and consistently reach their sales targets. Your team will be equipped with a complete sales effectiveness platform to replace or complement your traditional CRM. Enable your team to take the right actions at the right time, with the right people. Embed training material to turn new knowledge into skills and improved performance. This also helps new hires quickly get up to speed faster. By always knowing the next step to take, your sales team can consistently sell in a professional and confident manner. In the complex sale, team collaboration is critical. 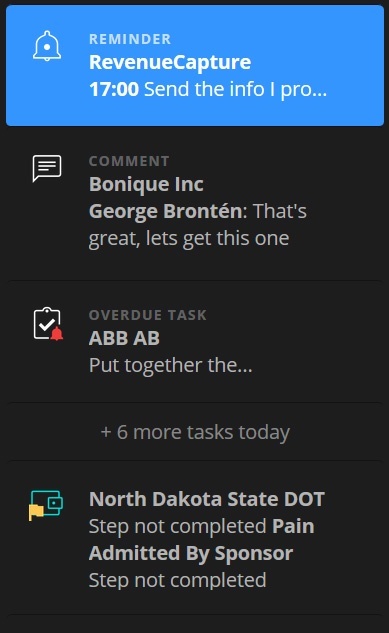 Membrain Guide is a collaboration and notification tool, which keeps everyone up-to-date. Membrain Guide highlights upcoming appointments, important emails and when clients engage with shared content. Membrain Guide also provides proactive guidance based on your unique sales process to avoid deals from stalling and ensure that all salespeople are guided to achieve their targets. Many sales teams struggle with a stale, inaccurate and underperforming sales pipeline. 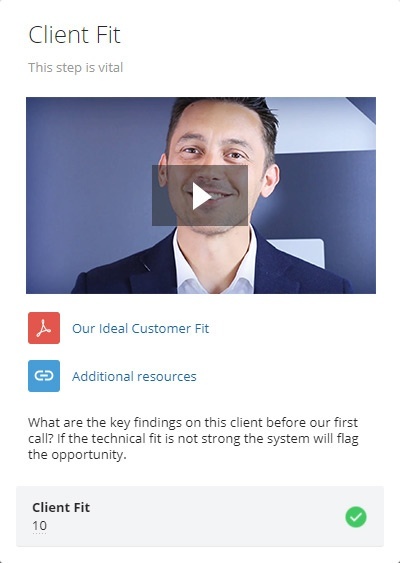 Traditional CRM systems simplify the pipeline to a stage dropdown. In complex sales, this is not enough. In Membrain each opportunity provides much more depth: Which milestones have been reached? Are we speaking to the right people? 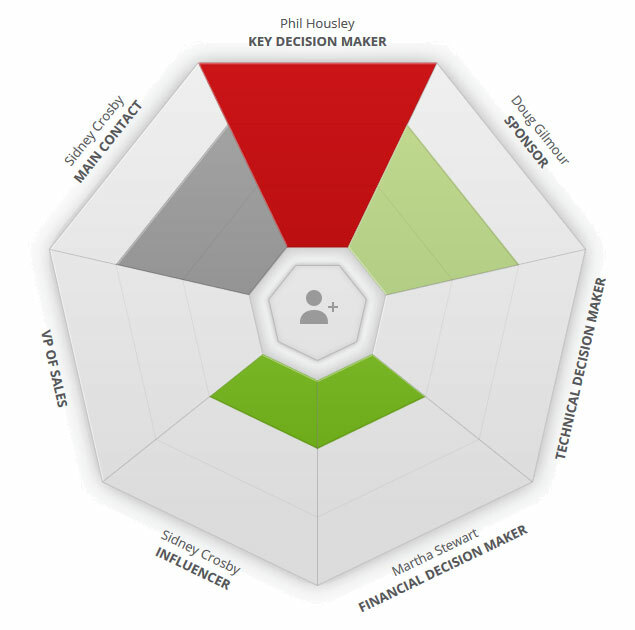 What's the attitude and influence of each key stakeholder? Who are we competing against? Have we asked the right questions? The health of each opportunity can clearly be seen, enabling your team to prioritize their sales efforts and sales leaders to rapidly identify coaching opportunities. Replace emotion with data-driven evidence to avoid stalled opportunities & no-decisions! As sales professionals, our toughest competitor is "no decision". The reason? No consensus. The average b2b buying decision team consists of 6.8 people (source: CEB). How do you get everyone on board? Failing to get every stakeholder on-board is probably the single biggest sales mistake that causes deals to stall and get lost. Using traditional CRM you're blind to the details - with Membrain you gain insight that wins deals. Do we have obvious gaps that need to be addressed? Do we have everyone on board? Is someone with significant influence hesitant, or even hostile? 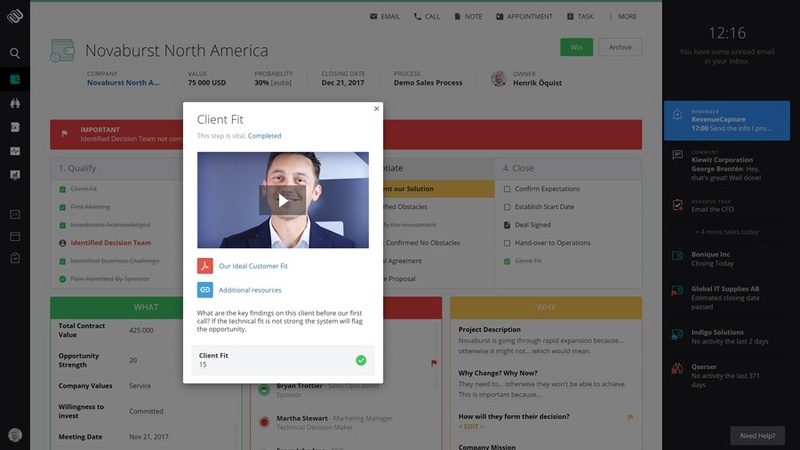 Visualize the decision team, capture and score attitude and influence and embed these tools inside your sales process to eliminate the mistake of relying on one or two contacts. Align with your buyer's decision team to increase your sales effectiveness!